The Pendleton Law Firm, in Lincolnton began as a solo practice in 1958, focusing on wills, deeds, criminal defense and personal injury matters for the citizens of Lincoln County and western North Carolina. Today, more than 50 years later, our experienced family law and business law attorneys' dedication to excellence in representation is as strong as ever. Our efficient team approach can help you end your marriage with dignity and start your new small business with sound strategies every time. At The Pendleton Law Firm, we are equally proud of our responsive, attentive personal service to our divorce, corporate and creditors' rights clients. Your lawyer will always be available to promptly, fully address any sudden question or concern throughout the legal process. From start to finish of our work together, our business will be to take care of your business. Contact our law office in Lincolnton to arrange your initial consultation and learn more about the many ways we can help you prepare for a brighter future. Call 704-666-2368 or email The Pendleton Law Firm. Our North Carolina lawyers have been dedicated to excellence in representation since 1958. Contact The Pendleton Law Firm, for an initial consultation at 704-666-2368. The Pendleton Law Firm, family law attorneys are experienced, responsive and dedicated to your success in western North Carolina. For an initial consultation, call 704-666-2368. If a dispute over child custody or visitation is delaying your North Carolina divorce, contact the experienced lawyers of The Pendleton Law Firm, in Lincolnton at 704-666-2368. 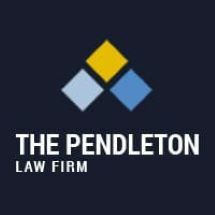 At The Pendleton Law Firm, in Lincoln County, our business is taking care of your business. Speak with one of our skilled lawyers today in an initial consultation. Call 704-666-2368. The Pendleton Law Firm, attorneys are experienced, knowledgeable and responsive to your creditors' rights legal issues in North Carolina. Call today: 704-666-2368.